Ever since I made this Apple Tart about a month back it has become an instant hit in my house. I make it almost every other day but never got a chance to type it and post. 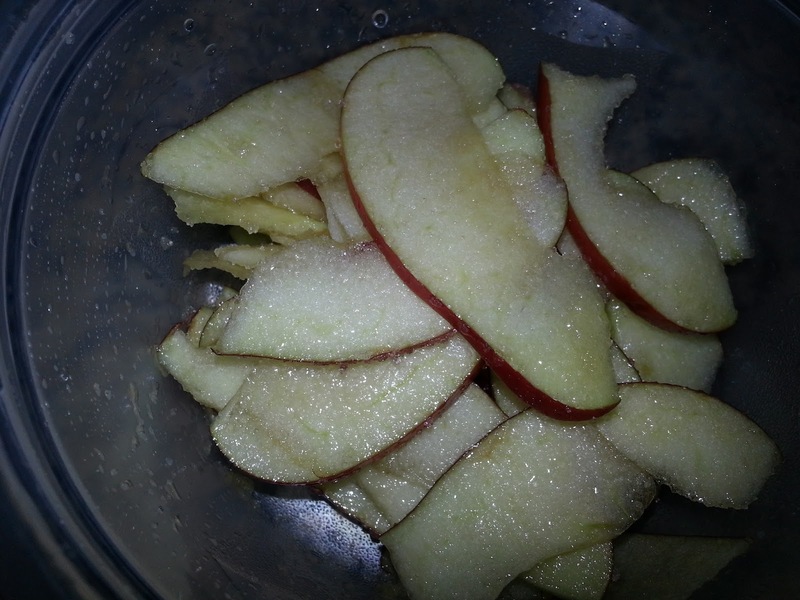 It is so simple and easy to make and tastes simply yummy. 1. Wash apple and cut it into thin slices with the peal. 3. Add sugar and salt and mix well. Keep this aside for 15-30 minutes. 4. Thaw the puff pastry square either in the fridge or on counter. Place it in the fridge once it thaws. 3. Line a baking tray with parchment paper or slightly grease the baking tray. 4. 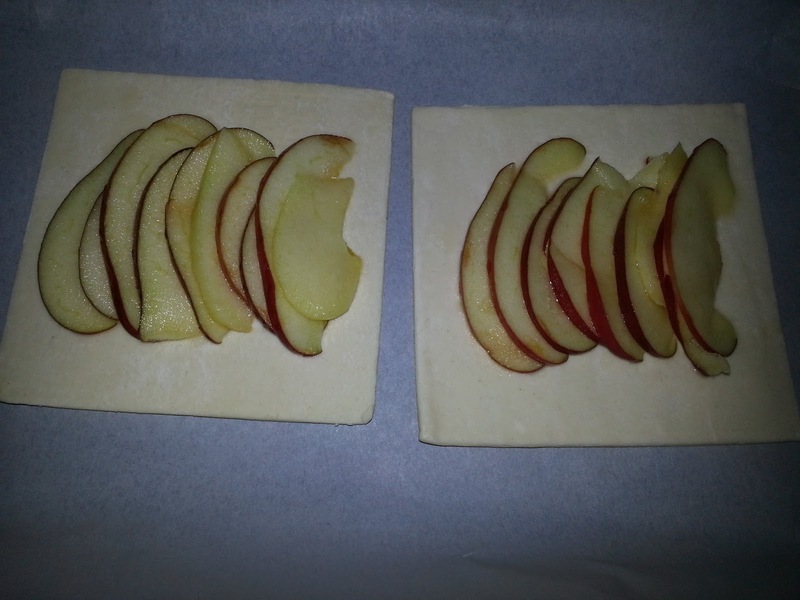 Place the thawed but chill puff pastry sheets on the baking tray. 5. Arrange the apple slices overlapping one another on the puff pastry. 6. Leave some space on all four sides. 7. Bake in the oven for 15-20 minutes till puffed up and golden. 8. Remove from the oven once done and sprinkle sieved powdered sugar all over the top. You can also drizzle with caramel syrup. 9. Serve as is or with whipped cream or with vanilla ice cream. 1. 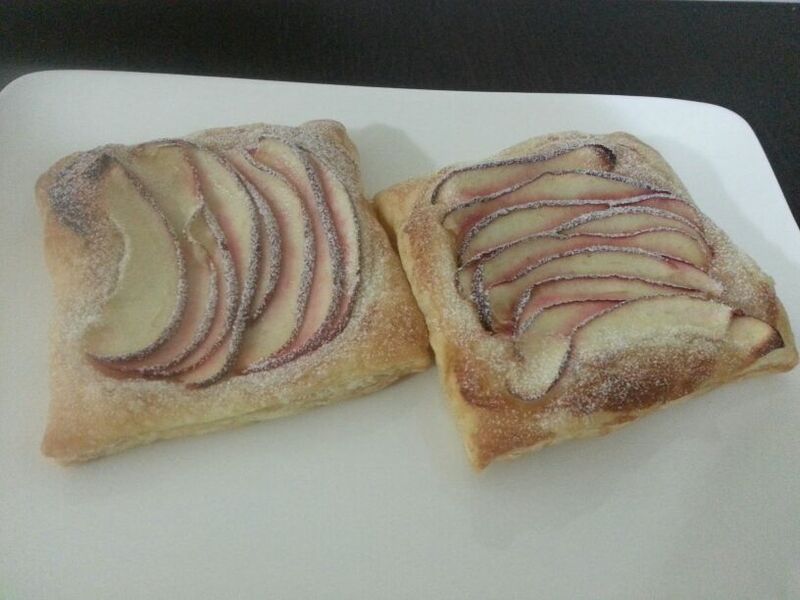 Always pick up the puff pastry just before leaving the super market and head straight home. Puff pastry should not be freezed again once it thaws. 2. 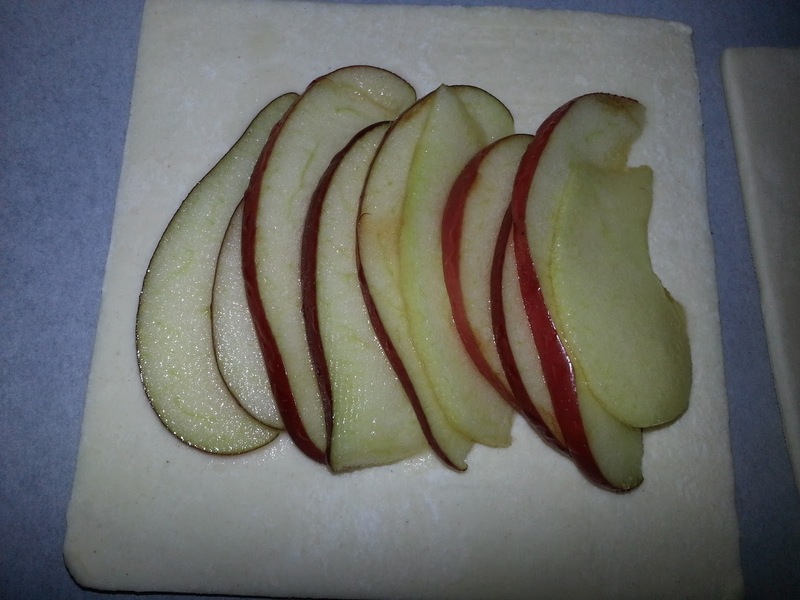 Once home, Separate the puff pastry and wrap it in individual cling wraps and place it in the freezer for easy use.